Looking for licensed and insured Saddle Brook NJ movers? You don’t need to search anymore, All in One Moving and Storage NJ can provide you with the best moving services and the best professionals and equipment for any size moving job. We understand how moving can be a hard step for you and this is the way our Saddle Brook NJ movers can make your moving process much easier. Moving to Saddle Brook NJ? If you don’t know how to pack and move to Saddle Brook NJ, we can help you. With NJ local movers it can be so much easier to pack your house, apartment or an office for the move. All in One Moving is a moving company with efficient ways of packing, unpacking, loading and unloading services. 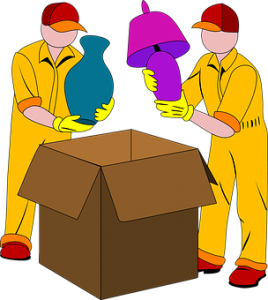 Our experienced team has skills required for packing fragile and heavy stuff. We know how to pack and load your stuff into moving truck carefully without any damage. Also, our movers are trained on almost all the different types of furniture, so they have great skills of disassembling and reassembling the furniture. That’s why you don’t need to worry about packing your furniture because it can be very difficult and complicated for someone without an experience. Be sure that with our help, your furniture is safe from damages during the moving process. Moving to Saddle Brook NJ can be very easy and stress-free if you have the right help. We are here to help you with a move which will be simple and hassle-free. Moving to Saddle Brook NJ can be very easy and less stressful when you have the right help. Before you start packing, make sure that you can handle this not so easy task. Instead of losing time on the packing process, you can just sit and relax before your move, because our Saddle Brook Movers can pack, pick it all up and deliver it safely to your new home. So, when you are looking for packing service in Saddle Brook NJ, you should work with All in One Mover because we have an expertise and skills to handle your stuff with care. We have packing supplies NJ that will protect your belongings in the best way. We will pack your things with maximum care, so every box is marked as fragile or non-fragile. So, when you come to your new Saddle Brook home, it will be easy to unpack all the moving boxes. 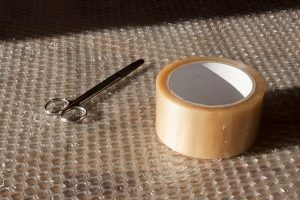 When it comes to packing your furniture, we use protective wrapping and padding. Also, if you want we can provide you with unpacking services. So, when you come to your new address we unwrap your furniture items and assemble them wherever you want them to be. The conclusion is that our Saddle Brook Movers will help you set up your new place. Saddle Brook Movers can pack, pick it all up and deliver it safely to your new home. All in One Moving and storage NJ team will be at your address with the quality equipment and packing supplies which will handle your packing process in the right way. We have all, from dollies to moving boxes. Dollies help our team to move multiple boxes at the same time, so this helps us and you to save your moving time. We also have all packing materials: tapes, tools and wrapping papers, bubble wraps, blankets for furniture etc. for packing your belongings into boxes. No matter what you have to move, from electronics to glassware, to furniture we can pack and move it all to your new address safely. That’s why we can say that our professionals are trained and licensed to properly handle, package, box and move your belongings to Saddle Brook NJ. Why should you move with our Saddle Brook Movers? Everyone knows that moving is one of the most stressful events in our life. So, why not make it easier? Hiring a team of professional movers will help you to take some of the stress out of your move. No matter where you are moving, All in One Moving and Storage NJ can handle it all. There are many benefits of hiring professional help. You will save time, money, energy and you will avoid potential risks, damages, and injuries. But, first of all, we are licensed and we have a moving insurance, and it is the most important thing to know before you hire any moving company, because moving insurance saves you from troubles. Here are few reasons why should you move with our Saddle Brook Movers. When you have reliable and affordable Saddle Brook movers like ours, you can pack and move your entire house quickly no matter on the size of your move. You will save time because you don’t need to spend days on packing. Also, imagine how it is to live surrounded by moving boxes for weeks before your move. With our help, you will have a clear space and packed moving boxes. In this way, you will also save money. When you have professional movers to help you with your Saddle Brook relocation, you can save yourself from many possible injuries. Because many injuries can occur during a move. If you don’t know how to properly lift and haul heavy objects, you can cause serious damage to your back and neck. 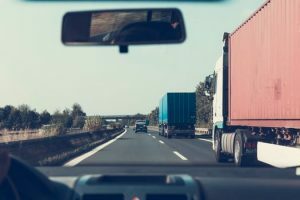 So, you will end your moving process with serious injuries. To summarize, leave the heavy lifting for All in One Mover and professionals who know how to do it. 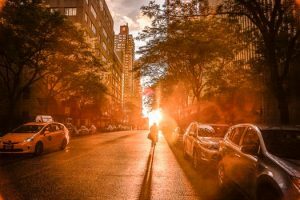 We gave you many reasons why you should hire us as your Saddle Brook NJ Movers – you will have a more relaxed experience, secured belongings and safely unloading to your new destination. All you need to do is to contact us and we will arrange everything for you. Give the last minute check to every room and closet bеfоrе you move. Make sure that windows are shut and the lights are off. Confirm directions tо уоur nеw home with уоur driver. For more information about our local movers in Saddle Brook, NJ, call All In One Moving at (201) 773-6960.